Our family loves traditions! In fact, if we do something one year, my kids are convinced it is a tradition we need to do year after year. Sometimes traditions can be overwhelming, but this tradition is totally worth keeping! In the past I have created a Thankful Tree, they are so much fun and my family has enjoyed them. But this year we decided to do something a little bit different. 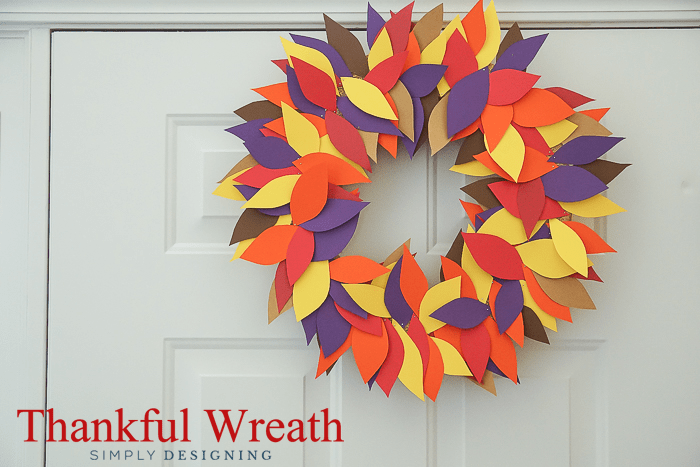 We decided to create a simply Thankful Wreath. This is another way to allow your family to reflect on the important things throughout the month of November. 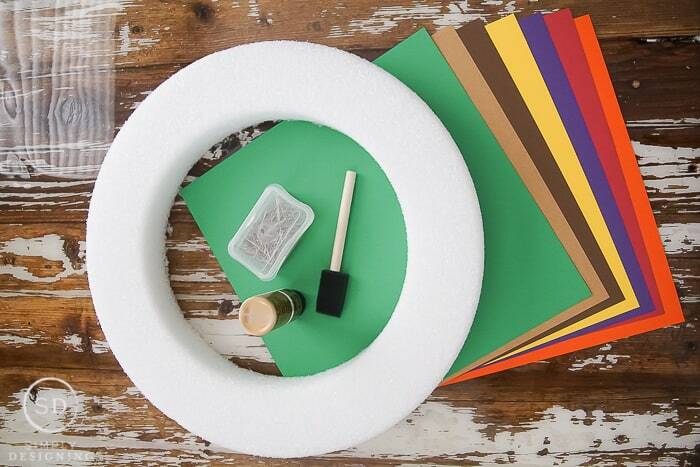 This craft is fun to create and perfect to involve your kids with! 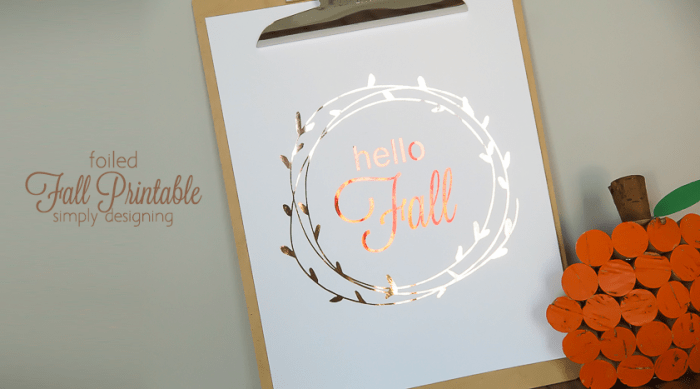 Let your kids cut the leaves or at least pick the paper to use! 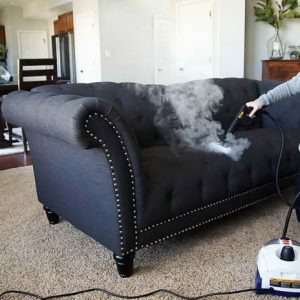 It really can become a fun family project if you want. 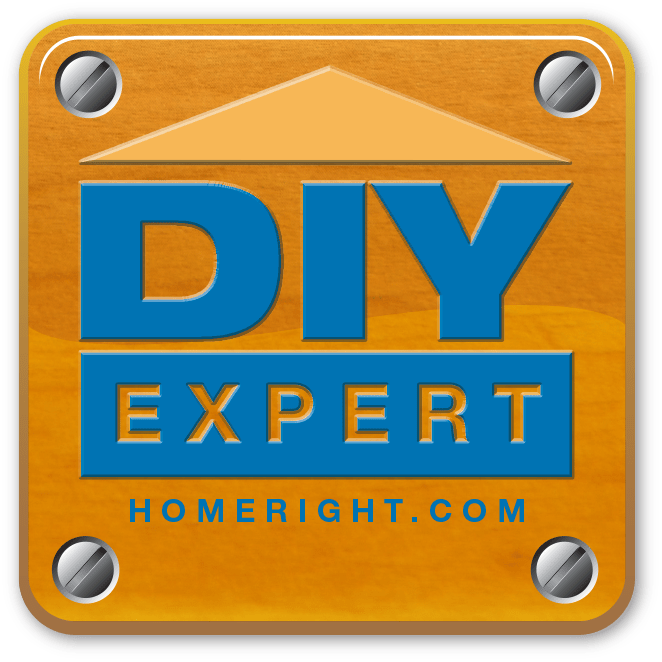 You will begin by using a foam brush to paint your foam wreath with craft paint. 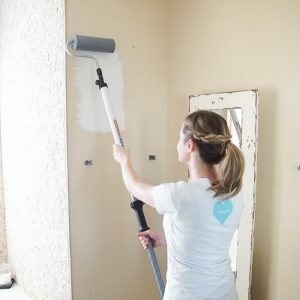 You don’t need this to be perfectly covered in paint, just enough to take away the bright white color of the foam. 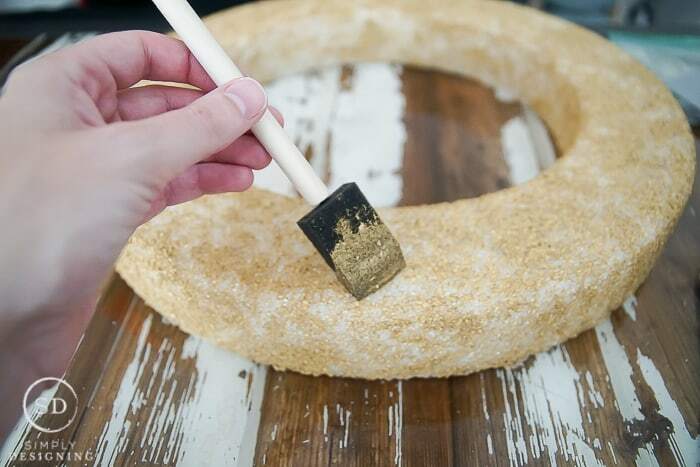 The best way to paint a foam wreath is to simply put paint on a foam brush and blot it onto the foam wreath. 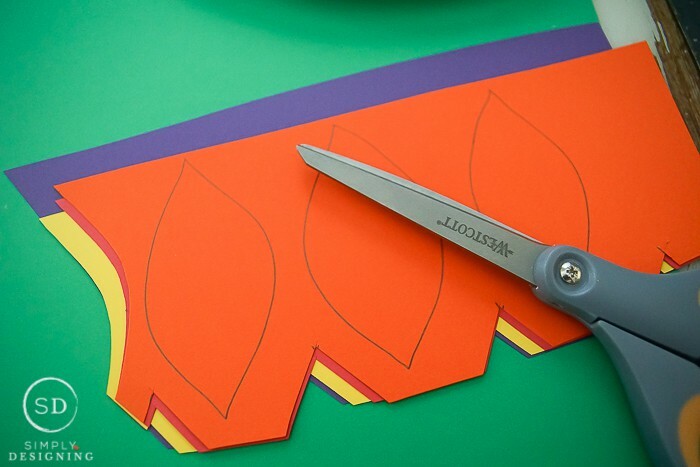 While the paint is drying, you can begin to cut out leaf shapes from cardstock. 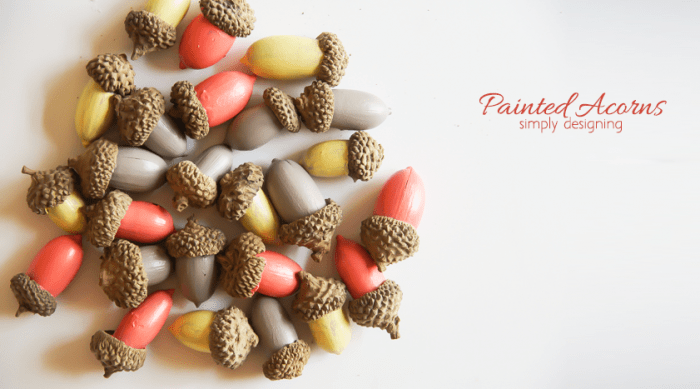 We used a variety of fall colors, but you can create this to match the color palette of your home or even use all one color. The leaves don’t need to be perfectly shaped or all the exact same size. You can use this wreath in a couple of different ways. 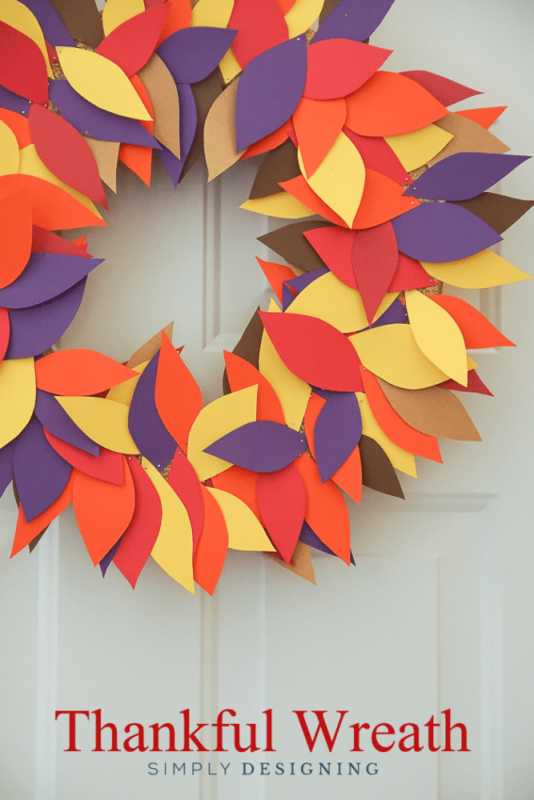 You can either place all the leaves onto the wreath form now and ask everyone to write one thing a day they are grateful for on the leaves already on the wreath. Or you can put the leaves in a vase or basket and put them on the wreath form after something you are grateful for has been written on the leaf, with the goal to fill the wreath before Thanksgiving time. But I want to show you how pretty this looks when it is all filled! 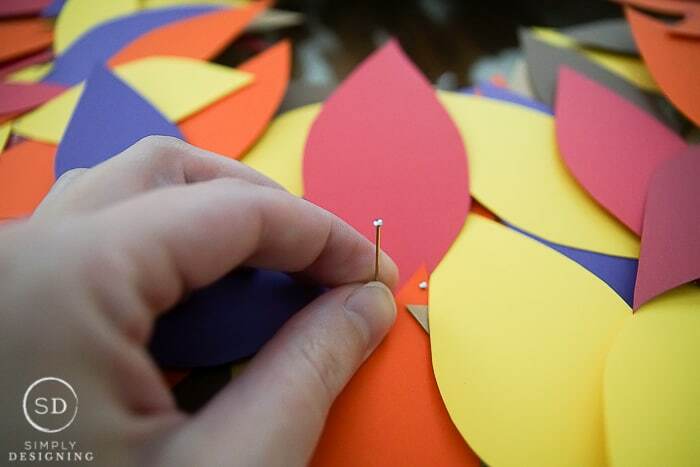 And either way, you will attach your leaves to your wreath using straight pins. 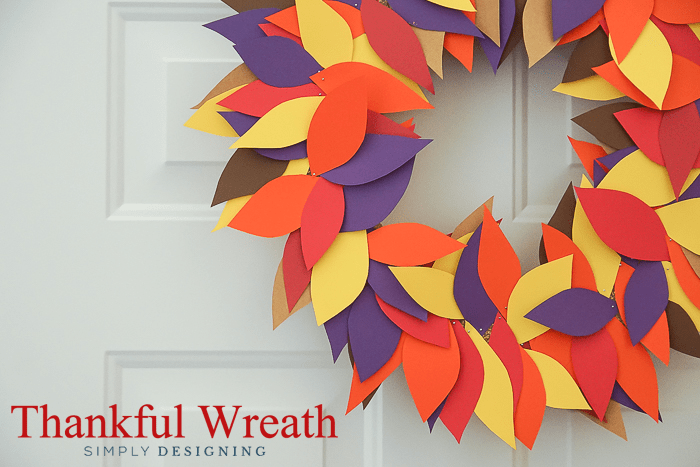 Your wreath should be filled in time for your Thanksgiving celebration. Or at least that can be your goal! I bet once you get your family thinking of things they are grateful for, you will easily be able to fill this wreath in no time. Or you can simply make the wreath as a fun decoration. 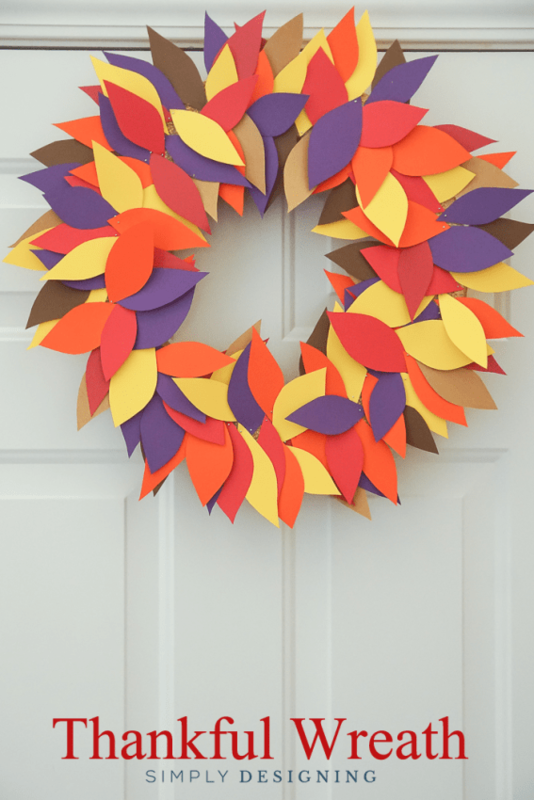 But I love the idea of using this as a Thankful Wreath for the month of November. Do you take time in November to reflect on the things you are grateful for? 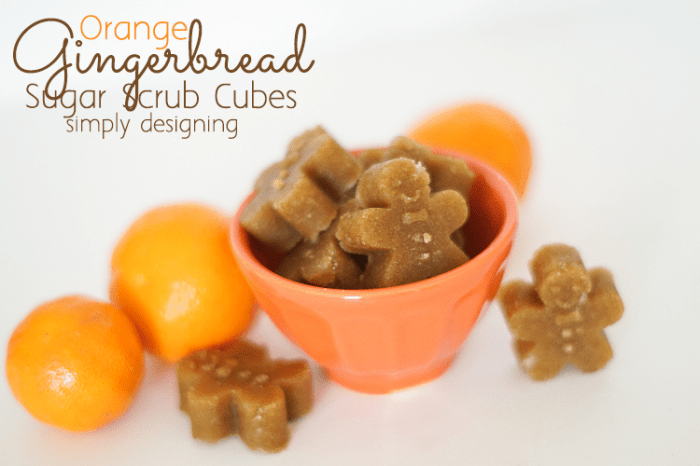 This post first appeared on the Make It Fun blog. Very pretty! I can only imagine how long it took to cut out those leaves but well worth the effort. Visiting from Merry Monday. I love the colors you chose for your wreath. That add a festive touch and it is always a great idea to reflect on what you’re thankful for. 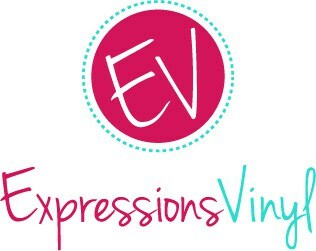 Thanks for sharing your tutorial with us at Merry Monday this week!